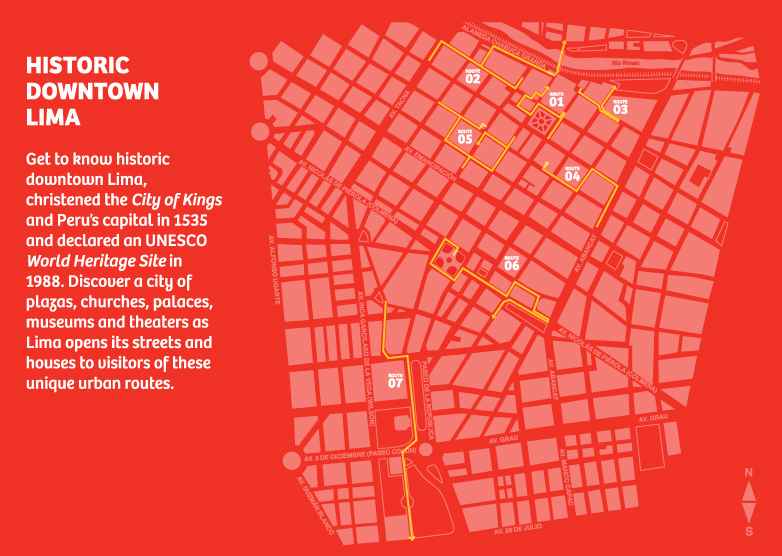 Take a walking tour of the city on routes designed to provide a unique experience in every visit. Enjoy the main sites and attractions and be a part of the rich history of Lima, listening the entire time as the city speaks to you. 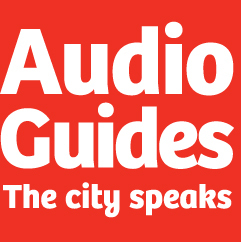 Download mp3 audio guides to any mobile device from the website: audioguias.peru.travel, or by scanning the Microsoft tag codes on each postcard with your smart phone. Get to know historic downtown Lima, christened the City of Kingsand Peru´s capital in 1535 and declared an UNESCO World Heritage Site in 1988. Discover a city of plazas, churches, palaces, museums and theaters as Lima opens its streets and houses to visitors of these unique urban routes.